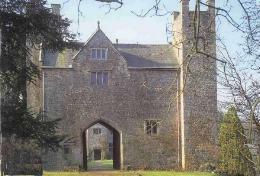 490 for 7 night stay in the Welsh Gatehouse. £490 for 7 night stay in the Welsh Gatehouse. Paying this confirms that you will agree by the terms and conditions (which are on our website http://www.welshgatehouse.com/TermsAndCond.htm). The price is £490 for a 7 nights stay in LOW SEASON in The Welsh Gatehouse (NB we do not allow babies, children or dogs, it is just for 2 adults). We will confirm your booking by sending an email with your dates in the subject line. We will let you know if the Gatehouse has already been taken by someone else, and, if it has, we will give you a full refund. We will send you directions once you have paid, please keep these somewhere safe. PLEASE EMAIL info@welshgatehouse.com with an approximate time of arrival and mobile telephone numbers for both people who are staying...just in case we need to get hold of you urgently. How did you hear about the Welsh Gatehouse?